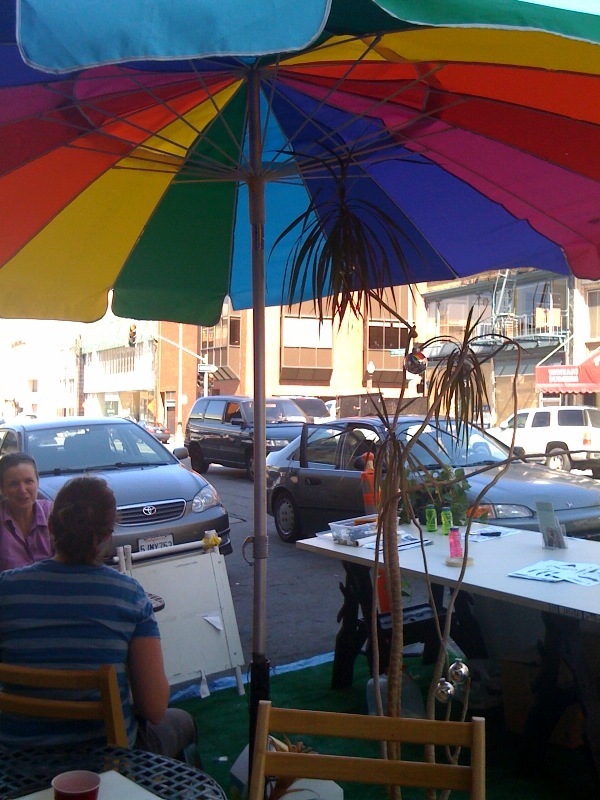 UPDATED w/photos: Happy PARK(ing) Day! 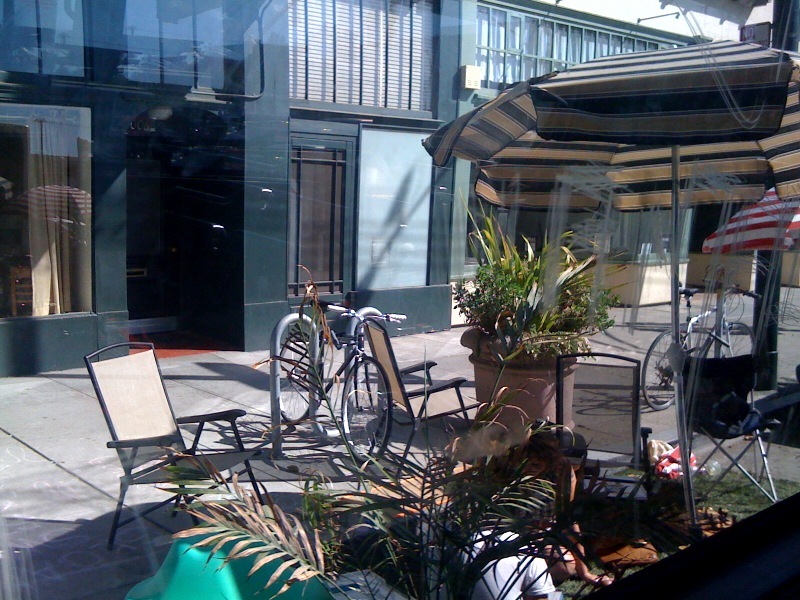 I’ll stop by the two downtown locations later today to snap some photos, hopefully closer up than the one above. 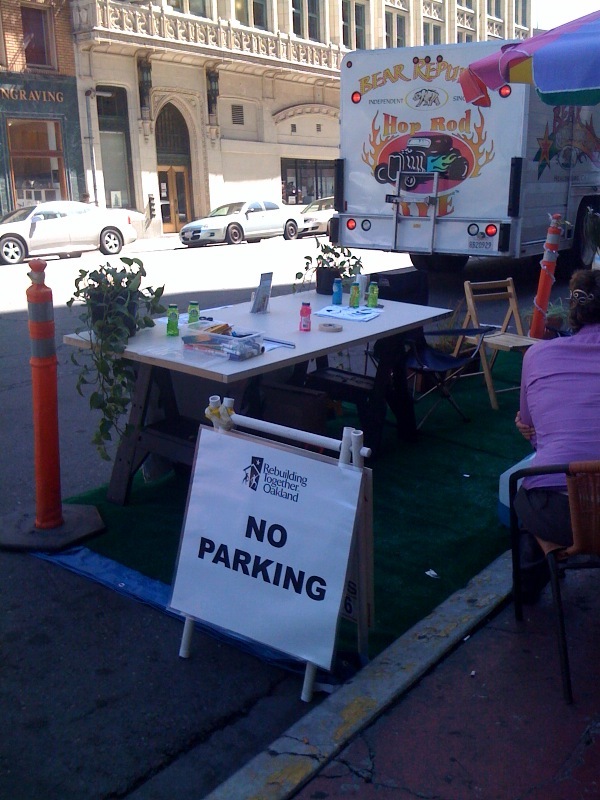 I encourage you to get out and enjoy PARK(ing) Day today. How utterly cool! I had never heard of this. Thanks for highlighting. I love it! 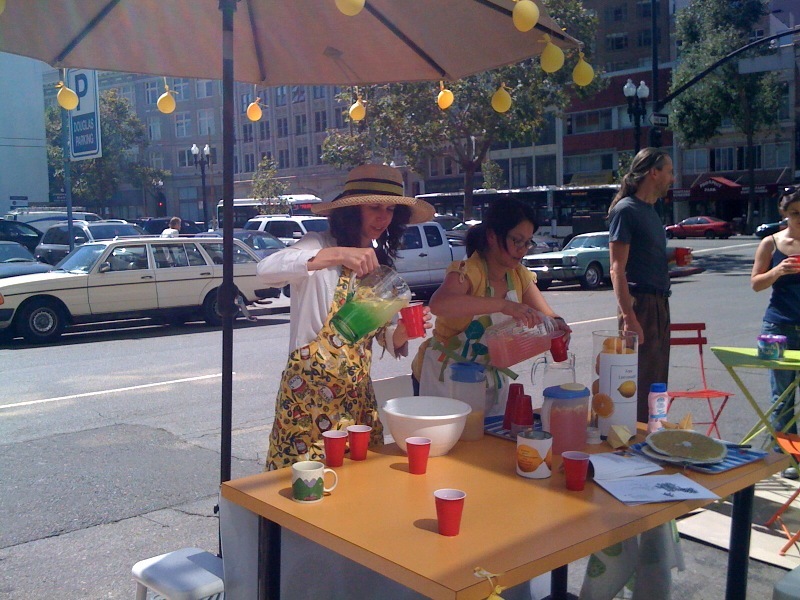 It’s such a totally California thing to do, and it looks fun. 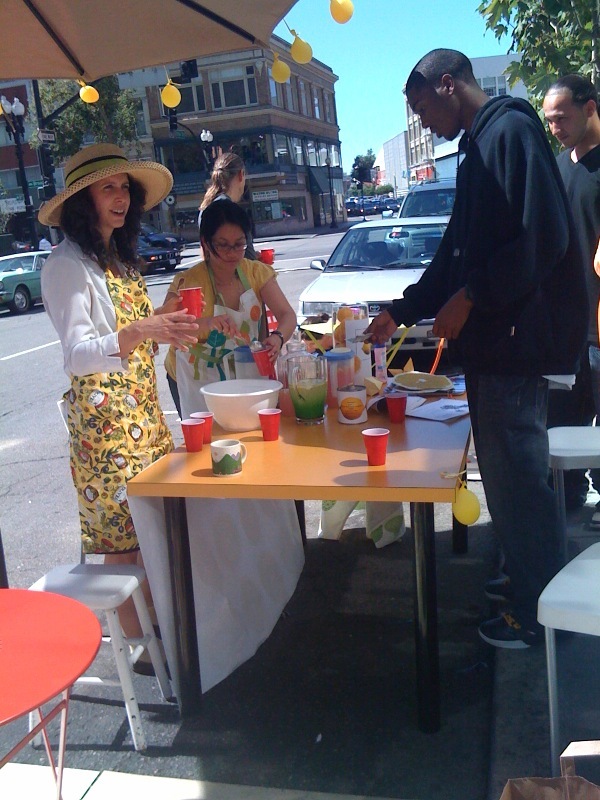 Oakland has its own attitude. Way cool. 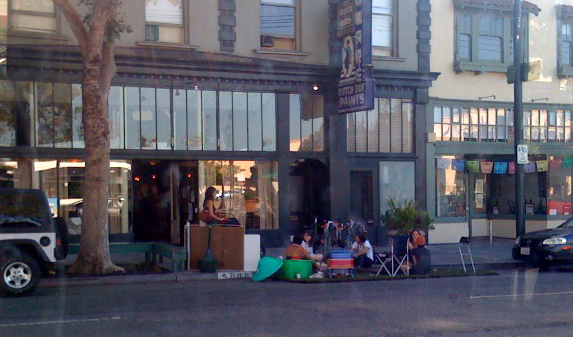 While PARK(ing) day started in San Francisco, it’s now become a worldwide phenomenon and several cities in California are participating.